A piece of admirable news to all Russians out here from Samsung. 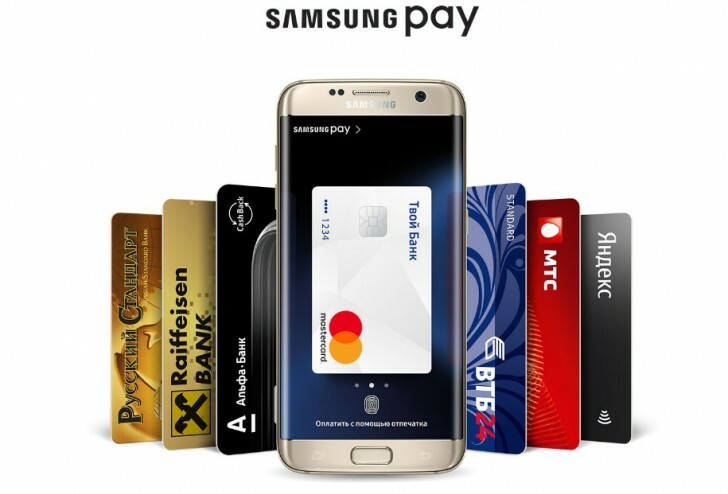 Samsung mobile has extended their Samsung pay services to Russia. It is one of the desirable services from Samsung offered to the customers for they can add, credit, debit, gift, membership and loyalty cards to phone. Your transactions are super easy with Samsung pay. A secure, credible app that can make life better and easy. Magnetic secure transmission aids in securing your transactions. Alfa Bank Banking group, MTS Bank, VTB24, Raiffeisen Bank, and Russian standard Bank support the service as of now. Just after its one year anniversary, Samsung Pay has decided to launch service in Russia. The launch was in co-operation with Russian mobile operator MTS and its sister bank. If you are in possession with a supported device, you can sign up for Samsung Pay with a Samsung account and a valid Payment card. Currently the service has been made available in almost nine countries including South Korea, US, China, Spain, Singapore, Australia, Puerto Rico, Brazil and finally Russia. Samsung pay has anticipated to widen their service by the end of the year and thus countries like UK, Malaysia, Canada, Hong Kong and Thailand will be made accessible to this service. People in Turkey will have to wait till 2017.